TJ Oshie is now The Star of the Sochi Olympics, getting the call to shoot 6 times in an epic shootout in the USA vs. Russian Olympic Hockey Game. He made 4, including the game-winner. We’ve followed Mr Oshie since his days as a Warroad high school hockey player — and especially as a UND Fighting Sioux Player. His years there were our first years living in our new home in Minnesota. 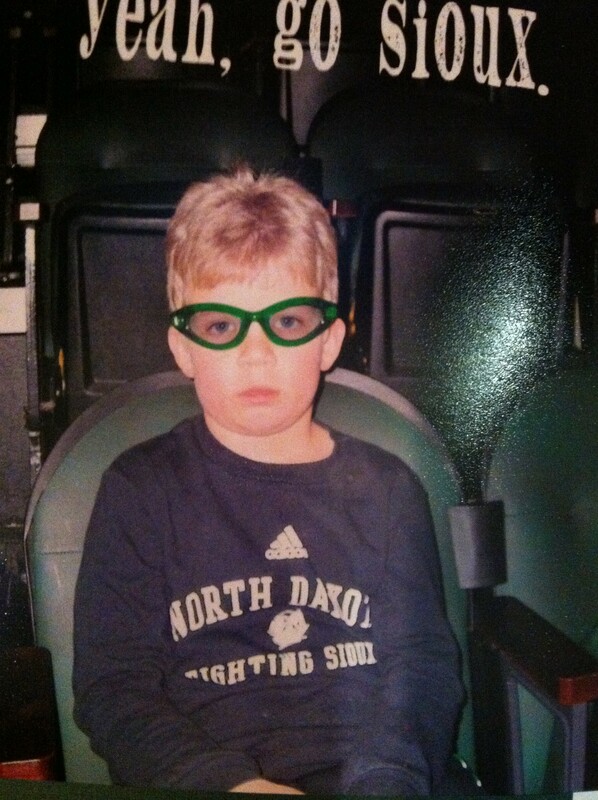 Sad face since this was the last Sioux game at REA we’d be attending that season. Matt, 2006. Matt adored TJ Oshie! We didn’t know how much until this incident. I laughed, and explained green was the color of his beloved UND hockey team, of which a TJ Oshie was a star. How was she to know?! We agreed it wouldn’t require a psychologist. 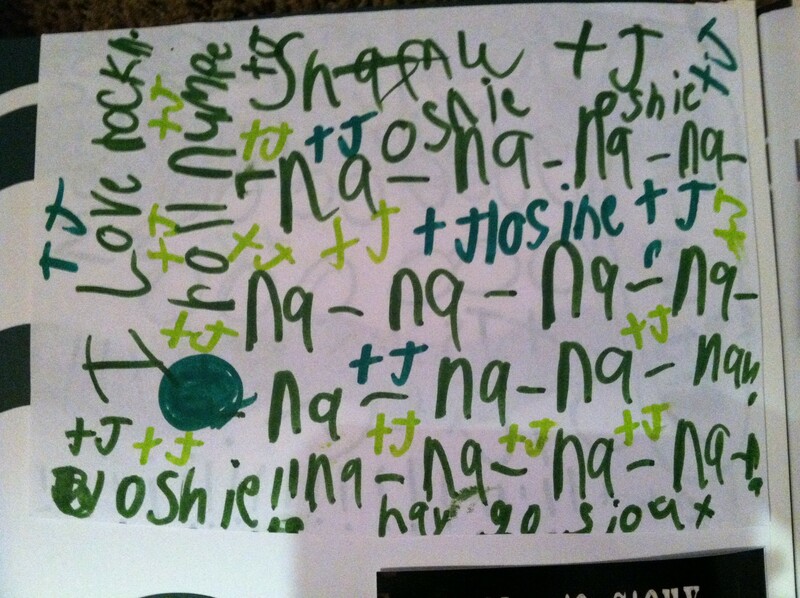 One of Matt’s doodle sheets from First Grade. No wonder he used up every green hue in his marker box. So I told Matt that story today and we all laughed. It seems like it was just yesterday. But yet it seems so long ago. Probably how TJ Oshie feels. Thanks for representing Minnesota, UND and our country so proudly, TJ. And thanks for giving our little guy a true hero to follow.